Sundar Pichai made his first public presentation as Google’s CEO last month and showed off a slew of new hardware devices. One of the two phones announced was the Nexus 6P by Huawei. For the flagship Nexus phones, is bigger necessarily better? Let’s find out. New phones are exciting. They look new, feel new, have new things and everyone loves new. I’m starting to feel phone fatigue, though. I love new technology, but I feel like the incremental updates that come along for Android phones and Apple phones are starting to get overwhelming. It used to be the case that only device aficionados would pick up the “S” version of iPhones or every-other-year’s Nexus. Not so much anymore, especially since carriers, and Apple itself, are urging you to opt into plans to make sure you always have the new-new. The Nexus 6P, made by Huawei, is one of two new flagship Nexus phones. In many ways, these two phones are Google’s answer to Apple’s iPhones. While Google hasn’t gone back to making their own hardware, they clearly work very closely with their partners. At Google’s event last month, we chatted with Jeff Hoefer, Google’s Industrial Design Manager. He shed some light on why things were designed the way they were, especially with the 6P. They’re designed with purpose, but will that purpose shake consumers enough to buy one? The 6P is the crown jewel of all Android devices. Sometimes it feels like we don’t even get to know a phone before we’re on to the next one. In-depth reviews probably aren’t going to sway you either way unless you have tons of money to spare and just “have to” get the new. I think of things in the sense of whether I’d suggest them to my mom or non-techie friends. When Google imagined hardware and software working in perfect harmony one day, the 6P was the device they unknowingly fantasized about. For me, the 6P is the crown jewel of all Android devices, regardless of who’s designed them. Google VP Bradley Horowitz let me know that this is the device he’s going for. It has a few quirks, but it’s a well-made device and takes full advantage of Android’s latest operating system, Marshmallow. I imagine that when Google imagined hardware and software working in perfect harmony one day, the 6P was the device they unknowingly fantasized about. It’s gorgeous, fast and sturdy. It starts at $499 for the 32GB model is available for purchase from the Google Play store. The screen is crystal clear. Beautiful, really. It’s 5.7 inches, WQHD (2560 x 1440) AMOLED display, Gorilla Glass 4, and sports something Google calls “fingerprint and smudge-resistant oleophobic coating.” Welp. It definitely sounds fancy, but my screen picks up plenty of fingerprints and smudges. Maybe my fingers are oleophobic-penetrating. Oh, the cameras. The rear camera is 12.3 megapixels, has IR laser-assisted autofocus, and shoots 4K video at 30 frames per second. The flash is also great, not washing out your photo subjects. The front-facing camera is 8 megapixels and shoots a pretty decent HD video. This baby is fast. It has the latest Qualcomm Snapdragon 810 process and gets some help from 3GB of speedy LPDDR4 RAM. You can pick it up in 32, 64 or 128GB. No 16GB version, which is interesting since this is a size that Apple just won’t give up on yet. It’s anodized aluminum, which feels great to the touch. The dual front-facing stereo speaker is pretty great, letting you listen to music or videos from across the room. It has three microphones in total, front and back, all with noise cancellation. Making video, voice or VOIP calls sound pretty great. The battery is outstanding thus far and I’ve gotten through an entire day of regular use without having to charge. When it is time to charge, you can do so quicker than ever with the USB Type-C system. Sure you’ll have new plugs to carry around, but you can go from about a 5 percent charged to 20 percent in minutes. Since the phone spends most of its time in your hand, at least for me, how it feels physically is extremely important. The Nexus 6P is notably heavy (178 grams), but lighter than the Nexus 6 that hit the streets last year. Our own Greg Kumparak referred to that device as “cumbersome.” While I feel like the 6P’s “heft” could turn some folks off, I wouldn’t call it a roadblock. I’ve only had the device for about four days, so take some of this with a grain of salt. I’ll be doing a follow-up in a few weeks to share whether I was able to switch to this phone from my trusty iPhone 6. Having said that, I did notice some fatigue in my wrist after using the 6P for two days. Over the next two days that fatigue started to go away as I got used to the new size and form factor. If you’re a Nexus 6 owner, you might want to start filling out your Craigslist ad now. What I’m missing is the softer back that the Nexus 6 introduced last year. It was handy when I was on a plane or train ride and would use my phone for upwards of an hour at a time. I have no idea why they’d take something like that away, but perhaps Google didn’t get the same feedback that I have. I always heard that the soft back was a plus from friends and colleagues. Oh well, a case can easily fix that. For short spurts of regular use, I ditch the case and show off the pretty phone anyways. The larger screen size does lend itself to more two-handed usage than say the Nexus 5X or iPhone 6S. Again, that’s OK if you’re willing to be open-minded to trying a larger phone. The quality of what’s showing up on the screen more than makes up for getting used to holding it differently. I never thought I’d care about a fingerprint sensor, but hot damn did Google get this design right. The new Nexus phones both sport the fingerprint sensor on the rear, under the camera. It’s way more natural than the home button on iOS devices, in my opinion. When you take your phone out of your pocket you naturally touch the exact spot. Very smart. It’s super fast to unlock, too. Most of the time, I don’t even see the lock screen. I haven’t had one issue with it, it just works. Color-wise you have a choice between aluminum, graphite and frost. I lean toward the darker colors, but it’s a personal call. I saw all three at the event and wasn’t put off by it. Plus, with the gorgeous metal finish, you can’t really go wrong. On the other hand, the 5X looks like cheap plastic no matter which color you choose. Google decided that this year’s Nexus line was going to go all out when it comes to the camera. The 5X and 6P share the same rear-facing camera and it takes professional-grade photos. Lotsa megapixels and ridiculously fast shutter speeds. Even though I don’t get paid to take photos, I’ve tried really hard to learn more about photography over the past year or so. I carry around a Nikon DSLR and have loved the photos I’ve gotten from it. The Nexus 6P takes comparable photos. Super crisp. With zoom, without zoom, it doesn’t seem to matter. Google is doubling down on photos from a hardware perspective. Makes sense since their Photos product, which comes pre-installed, is as good as it gets when it comes to digital media management. The 4K video is beautiful, as well. Back in 2012, I wrote that Android’s OS might be best suited for tablets. I believed that until I started playing with the Nexus 6P. This is the best Android device that I’ve ever used. Fast. Fast. Fast. Mostly thanks to Marshmallow. Make no mistake, the flagship phones are “Google phones” through and through. 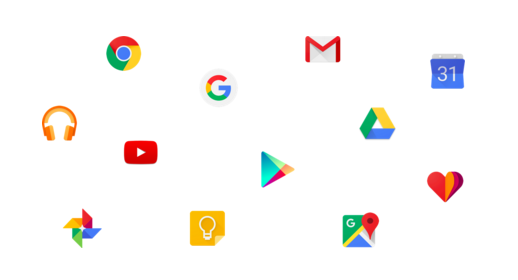 All of the core Google apps come pre-installed and will have to all be updated when you turn your device on. Don’t freak out about the phone getting hot while you update 10 or 15 apps, though. I haven’t experienced any heat during normal use other than the initial update. Google search is also embedded throughout the operating system, as it should be. Whether you’re saying “OK, Google” or you’re using Chrome, you’ll get the same fast experience wherever you kick off a search. Google’s answer? The correct and a more sensical one, 2001. Google’s considerably better at parsing through voice input to get you the information you’re looking for…or at least closer to it than Siri can. That’s a huge advantage for Google moving forward, it just seems like Apple is a few years and cycles behind. Speaking of search, its gotten even smarter on the phone. Google Now On Tap is a new feature introduced with Marshmallow. It allows you to stop where you are, press a button, and let Google scrape what you’re either viewing or discussing with someone and then provide you with important information and links that can help you make decisions or guide your search for something specific, like a restaurant. If you were to say the word “burrito” to a friend, then hold the “home” button in the middle for a few seconds, you might be given links to local burrito shops or a Wikipedia page about their history. Yum. Give it a try in an app like Facebook Messenger. It looks like you’re taking a screenshot and then bam, you get all types of info. If you’re a Nexus 6 owner, you might want to start filling out your Craigslist ad now. The great part about the Nexuses is that they’re unlocked, so you can go with whatever carrier you want, including Google Fi if you’re lucky enough to be invited to it. If you’re an iPhone-lover, nothing may ever change your mind. If there’s a phone to do it, it’s this one, though. It’s solid as far as design, hardware and software. The base price of the Nexus 6P is $499, going up if you choose to add more storage. It’s beyond worth it. You’ve probably never experienced a version of Android’s operating system quite like this. But next year? Make your own phone, Google. You can do it. I feel like this is a massive competitive advantage for Apple. When you pick up one of the new iPhones, you can just tell that nobody had their grubby hands on any part of the device or OS design but Apple. It’s time to take the training wheels off for good, Google, and own the entire experience. After that, getting people to convert from other platforms will be a slam dunk.